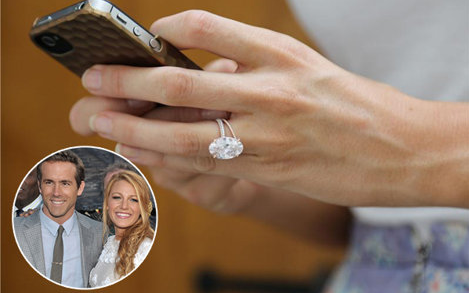 Every girls dream died three weeks ago when Actor Ryan Reynolds married his true love, Blake Lively. Ryan Reynolds, 35, has been stealing girls hearts for over a decade. Some of his more popular movies include Van Wilder, Just Friends, Definitely Maybe, and of course, Green Lantern. Lively, 25, is famous for her starring roles in Sisterhood of the Traveling Pants, Gossip Girl and Green Lantern. Reynolds married Lively on September 9, 2012. They were married in a private Southern Wedding at Boone Hall Plantation. The two exchanged their promises at the same place The Notebook was filmed. The two have been together about a year and even though they tied the knot on September 9th, they did not actually make it legal until 5 days later. Reynolds chose Lorraine Schwartz to help him with Lively’s ring. The ring setting is designed in rose gold with pave diamonds. The center is a large light pink oval diamond that looks flawless in color and clarity. The band has tiny pave set diamonds which match the diamonds of her wedding band. There are no exact details of the diamond or the price. The ring has a vintage appeal to it and is beautiful. The Green Lantern costars seem to be completely in love and honestly happy. They make a gorgeous couple and we wish them all the best and happiness in the future. Detroit superstar rapper Eminem made a strong statement at the 53rd Annual Grammy Awards on Sunday night by wearing a necklace displaying the Alcoholics Anonymous (AA) symbol. The necklace along with his new album entitled Recovery demonstrates how seriously Eminem is taking his sobriety. Eminem seems to be winning his struggle with an addiction to alcohol and pain killers, which is an important step to regaining his rapping technique. Eminem walked into the Grammy Awards with ten nominations and won the awards for Best Rap Solo Performance and Best Rap Album. He stole the show with exhilarating performances with Rihanna and Dr. Dre. It will be exciting to watch Slim Shady and his ingenious rapping as he continues to work in a clear state of mind. The holidays are a perfect time for couples to get engaged. Usually, the holiday season brings visits from far away relatives and friends and they present a great opportunity to share the happiness of being newly engaged and to show off the engagement ring! This season some celebrity couples have jumped on the holiday engagement bandwagon. Prince William and Kate Middleton kicked off the season followed by Vanessa Minnillo and Nick Lachey and Jessica Simpson and Eric Johnson. Much has been made about the Jessica and Nick engagements following one another so closely but I say so what. Let’s all try and play nice and wish them both some happiness. Poor Jessica has been under the microscope with every relationship she has had since the break up with Nick. If she has found some happiness with Eric, that is great news! I just can’t stand these nasty bloggers who seem to enjoy watching other people suffer. By the way how do they know who paid for the engagement ring and why do they care? The holidays are supposed to be about good will so celebrating a happy occasion like getting engaged is a perfect fit. If you are planning on getting engaged this holiday season be sure to leave plenty of time to order the engagement ring and eliminate any stress involved with such an important purchase. Be sure to read up on choosing the right engagement ring settings and picking a perfect diamond. 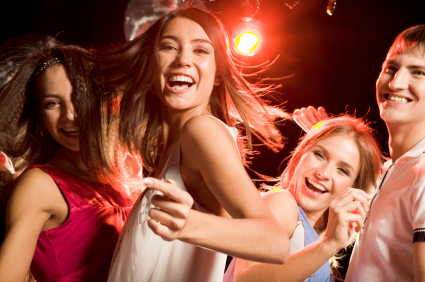 Once you have done all your homework pick a good time to pop the question and have some fun! The setting style is what makes the ring unique and what also holds the diamond securely in the mounting. The setting allows light to enter the diamond and show its brilliance. There are a variety of different setting styles used in making diamond rings. A bezel set has a rim of precious metal that holds the stone and completely surrounds the diamond. A bezel setting can have straight edges, scalloped edges or it also can be molded into any shape to make the diamond more appealing. A bezel setting helps protect the stone from any damage without blocking the light which makes the diamond shine and sparkle. A channel setting suspends the diamond in a channel of vertical walls with no metal separating the stones. This setting will protect a diamond and provides a smooth ring surface. In this type of setting none of the diamonds edges are exposed so it is protected from hard knocks and general wear and tear. A flush setting, which is sometimes referred to as a gypsy setting, is when the diamond is sunk into the mounting until it is nearly level or flush with the surface. The only thing that shows is the table of the stone and a little bit of the upper facets. A flush setting gives the ring a smooth modern look. This type of setting offers good protection for the stone. 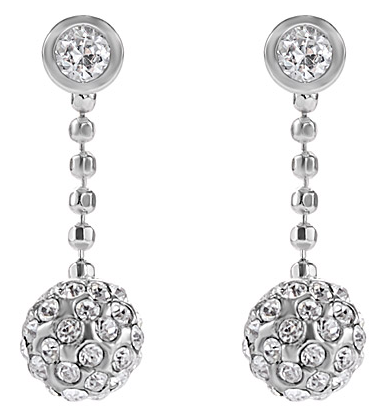 A cluster setting is a prong setting that holds a number of stones in a tight pattern. The setting is usually a symmetrical pattern and gives the appearance of one diamond. These types of rings are usually multilevel and have considerable height. The stones can be arranged in a variety of ways including tightly together or separated. The prong setting is one of the most popular settings used for engagement rings because it makes the diamond stand out. It secures the diamond but allows the brilliance and sparkle to shine through. The prongs are attached to the central part of a ring, which is called the head or basket. Each prong keeps a firm grip on the stone. The diamond can be raised up high to give it a larger and more impressive appearance. The ideal prong tapers to a rounded point. The prongs should be place at key points which usually is at the four corners and should be evenly spaced around the diamond. There are many types of setting to choose from and there are also many styles of rings that would make a perfect engagement ring. The most popular is the solitaire style that has one diamond that is raised to make sure that all of the brilliance of the diamonds can be seen. Cathedral mountings are another popular choice. The setting has arches that can be seen from the side. They have projections on each side of the stone. This type of setting was inspired by the arches that supported early cathedrals. This style of ring gives the stone support and protection in a classic and unique style. There are endless possibilities when it comes to picking an engagement ring. There are many styles and setting to choose from. By shopping around you will find the one that will be perfect for your loved one. Harmony Recycled Precious Metals used to manufacture green engagement jewelry â€“ everything from recycled platinum engagement rings to recycled palladium wedding bands for women & men. Midlothian, VAÂ September 16, 2008 — The extensive collection of engagement rings and wedding rings offered by Danforth Diamond are now made from 100% recycled precious metals. Danforth Diamond partnered with jewelry manufacturer, Hoover & Strong, an industry leader in eco-friendly jewelry manufacturing and refining, to provide a green jewelry option to the marketplace. Harmony Recycled Precious Metals takes unwanted or damaged jewelry, shavings and metal lost during the jewelry manufacture and crafting processes, and scrap precious metals from industrial uses and recycles them. The metals are melted down to separate them â€“ the precious metals are separated from alloys that were added to provide strength or shine â€“ and then all are reused in the manufacturing of new “green” jewelry pieces or other items. 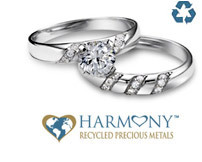 Approximately 90% of the products on the danforthdiamond.com site carry the Harmony Recycled Precious Metals designation. 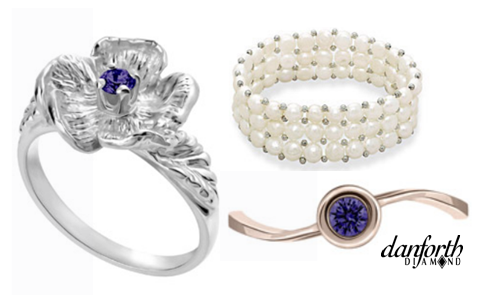 Prompting their search for a jewelry manufacturer who uses recycled metals, Danforth received several emails from customers and comments on the Danforth Diamond Blog asking about recycled metal jewelry options. “The timing of those requests was uncanny and they confirmed a need for eco-friendly jewelry that wasn’t being met,” Jill Renee said. The use of Harmony Recycled Precious Metals reiterates Danforth Diamond’s commitment to people- and earth-friendly jewelry. They are a member of StopBloodDiamonds.org and are in compliance with the Kimberley Process Certification Scheme which certifies the origin of diamonds to make certain they are ethically sourced and conflict free. You want to propose and give her an engagement ring that fits, but you don’t know her ring size. A great deal of thought goes into the preparations required to make your proposal unique, memorable and error-free. In most cases, months are spent selecting the engagement ring, coordinating the exact place and time of the proposal, and rehearsing the words that come closest to expressing what the heart feels on the day the question is finally asked. And just like the glass slipper in Cinderella, the ring must fit to confirm that you are indeed the handsome prince she has been waiting for. Finding the ring size of your bride-to-be without making your intention to propose obvious can require imagination, ingenuity and a stroke of luck. Having a ring she currently wears on her ring finger can ease the burden, but most women keep their ring finger sacred and free of jewelry that would provide an exact ring size. To help, we provide the following list which contains a few sneaky ways to figure out what the size of her ring finger is. Most of those close to you and your bride-to-be are more than happy to help you on your quest to find her ring size. Think about her best friends, coworkers, and even her mom to get the ring size information. This can easily be done if they allow her to try on their rings, go window shopping for jewelry, or have them simply ask. If you are fortunate enough to have a bride-to-be that enjoys jewelry, then make it a point to “borrow” a ring-finger ring once it is removed. In some cases, the wearer won’t notice that the ring is missing if it’s only gone for a few hours while you’re having the jeweler obtain its size. However, if the ring-finger jewelry is only removed for brief periods (such as while showering), a model or imprint will have to do. To capture the ring’s size, simply trace the inner circle of the ring on a piece of paper or make an imprint of the ring in a soft material such as soap, clay or bread and return the ring to its former location. In this way, a measurement can be made without the physical ring being present. If your bride-to-be is a heavy sleeper, then it may be possible to wrap a thin strip of paper around her finger and mark where the paper overlaps itself. This method will provide a fairly accurate ring size. A twist could also be to tie a string to her finger to make sure she does forget something you deem important. Insist on having the string tied to the ring-finger, and when it is removed pocket the string. This is crafty and works best on a very unsuspecting bride-to-be. If all else fails, then simply comment (or have your friend comment) on a ring that belongs to someone else. This may get the ring size conversation going in your direction. Fabricate as necessary by talking about the similarities of the ring in question with your (mother’s / grandmother’s/ sister’s) ring; ask what size it is and if you can see it; allow your bride-to-be to try it on; comment on the stones; anything to get the ring conversation going. You don’t have to get the exact size now; you can subtly revisit and finish the discussion at a later time when the two of you are alone. Both you and your bride-to-be deserve perfection from start to finish, and hopefully, these tips will help you to make sure the engagement ring is sized perfectly. By taking the time to secure the right ring size you open up more options on your ring selection and ensure that she is showing off her engagement ring immediately following the proposal. The time spent finding out the right ring size is sure to pay off big dividends on your proposal day. Purchasing a diamond engagement ring is never an easy prospect, and when you add the thought of buying that ring online, there’s an entire level of uncertainty added. One is forced to take certain things into consideration when buying an engagement ring online – Is the picture online accurate? What does the other side of the band look like? Is the metal really that shiny? Fortunately, here at Danforth Diamond, we’ve taken some of the stress out of purchasing diamond engagement rings online. At Danforth we understand that you might not know what a cathedral style ring or channel set diamonds looks like, and if the picture on the website doesn’t give you a great view, it’s understandable why you would be apprehensive about buying the ring. That’s why we’ve added a series of 3D pictures to the Danforth Diamond website. Our 3D views are the ACTUAL ring not a computer-generated photo of the ring in 3D. Currently featuring over 20 rings, our 3D Diamond Engagement Rings give you the best possible view of the ring your interested in. Speed up, slow down, or completely stop the rotating image to see every angle of the diamond engagement ring you’re interested in to make sure that it’s exactly what she’ll want. You wouldn’t buy a car without at least seeing what the interior looks like, so why would you buy a diamond ring without seeing what the other side looks like? Take a look at our 3D Diamond Engagement Rings and you’ll quickly understand why we’re doing everything we can at Danforth Diamond to ease the ring buying process.